When you’re in the midst of house hunting, it is all too easy for the houses to start blurring together! It can be a whirlwind to traipse from house to house every weekend in search of “the one.” You start to forget the little details, like which house has the nice fenced-in yard and which ones come with appliances. 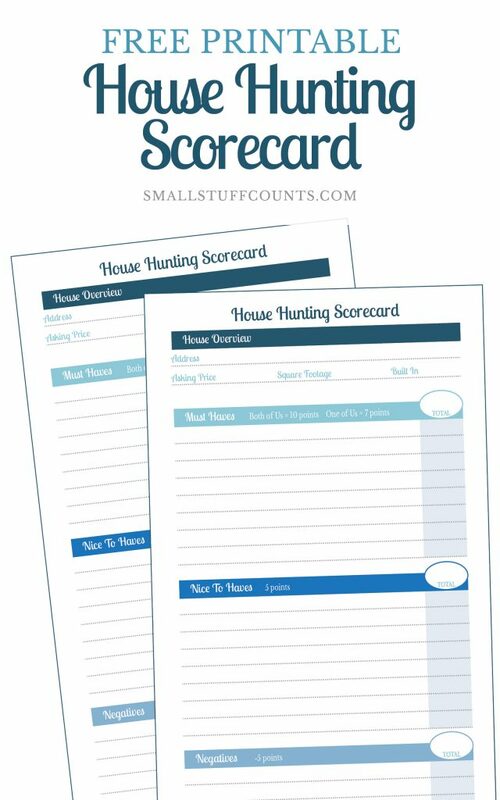 To stay organized and keep track of all the details during our own house search, I created a handy house hunting scorecard. 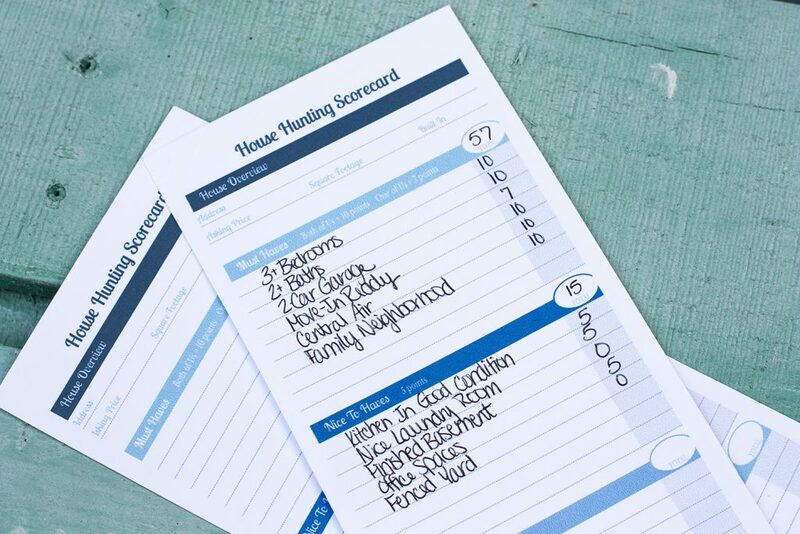 This printable is perfect for creating your house hunting checklist or wish list and scoring each house you visit! This scorecard may seem overkill, but I found it to be a very helpful system during our own house hunting process earlier this year. I was worried all of the houses we toured would start blending together so I designed this simple scorecard to keep everything straight. 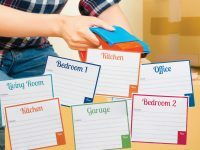 The scorecard has sections to fill in the must-haves and nice-to-haves from your house wish list. Before we started looking at houses, we discussed what we each wanted in our next house and created a wish list of features we were looking for. A few of the must-haves on our list were 3+ bedrooms, move-in ready and central air. 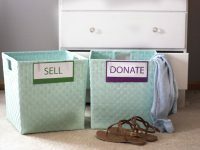 We both had items on our wish lists that weren’t necessarily must-haves but that we were hoping for, like a fenced-in yard and office space. The rest of the scorecard has space to track the negatives of each house as well as any deal breakers. I also left room for any “bonus points” about a house – things that weren’t really on our wish list but were extra perks we really liked about that particular house. I created a point system so the scorecards could be tallied and compared to each other. This isn’t an exact science because, although our must-haves and nice-to-haves were consistent on each scorecard, we filled in the rest of the sections based on the individual house. Therefore the possible total score was different for each house. 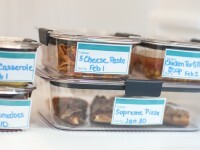 But the scoring system was still helpful in narrowing down our options and it really helped me stay focused on the things that were most important to us in a house. We kept a stack of printed scorecards in our glove compartment and filled one out after each house tour. David and I discussed each house and scored it jointly, but you could also have each person fill out their own scorecards independently and then compare notes. 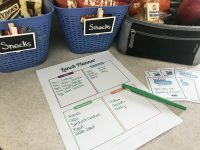 When I have something new to organize, I often find it helpful to create a little printable to keep track of everything. This house hunting scorecard was helpful to us and I thought I’d share it here in case you find it helpful, too! If you’re currently searching for a new home and looking to create a house hunting checklist, feel free to use this scorecard to keep track of the details during your search. And if you’re not looking for a house right now, be sure to pin this post for future reference! Are you house hunting? 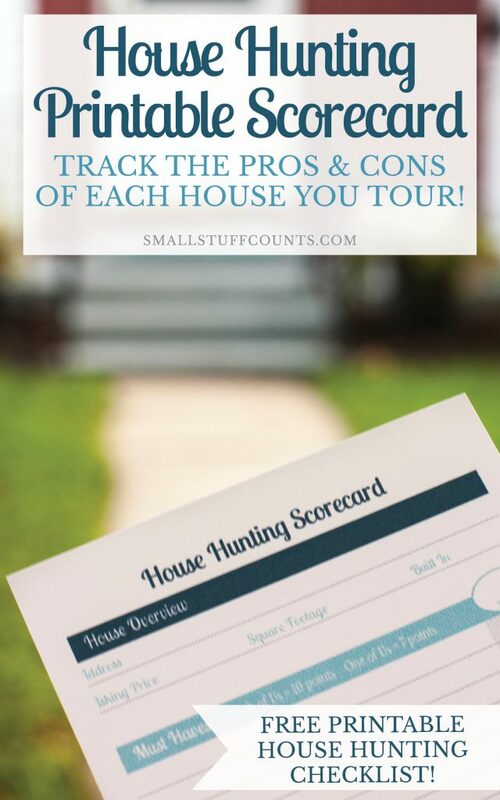 Download this scorecard to keep track of the pros and cons of each house you tour. 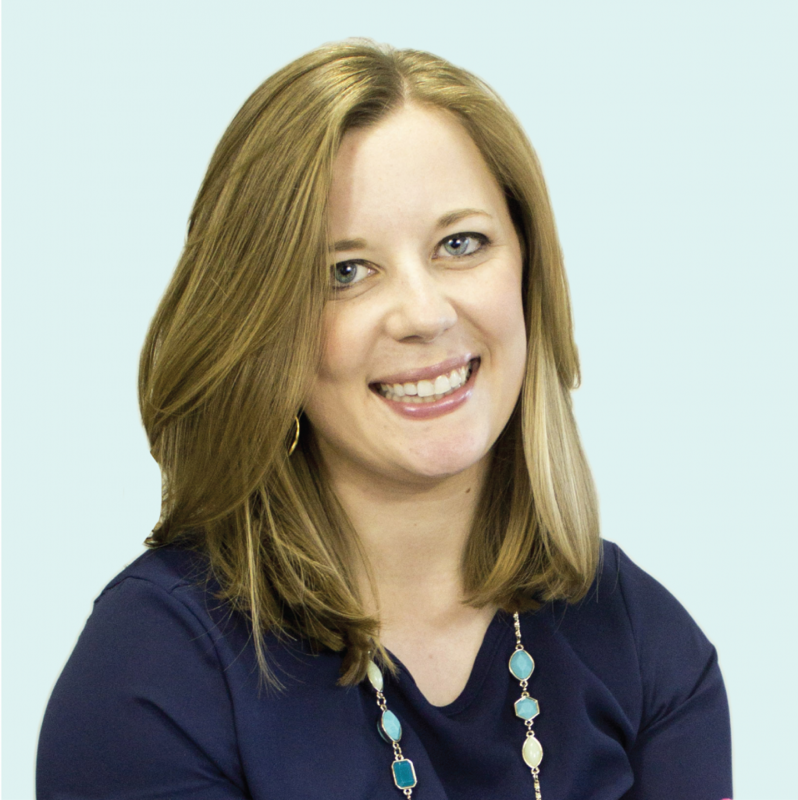 Subscribe for instant access to the printable scorecard and weekly organizing tips. Hooray! 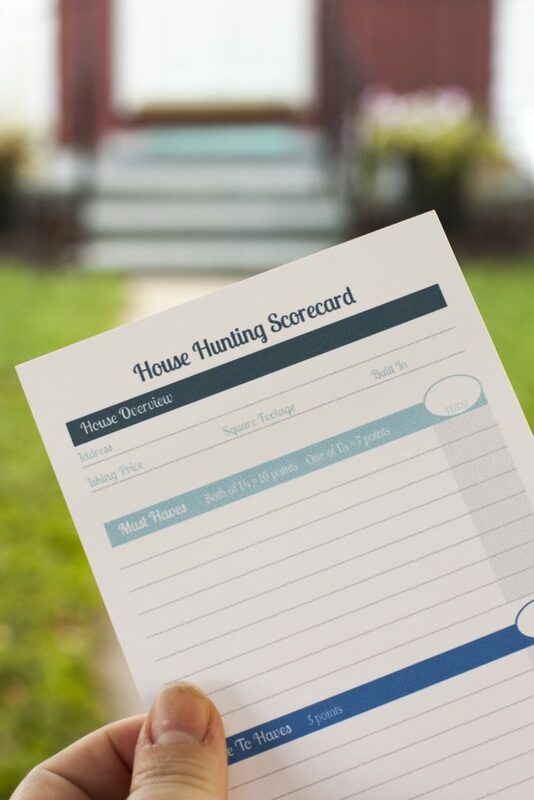 Your printable house hunting scorecard is on its way to your inbox. Happy house hunting! 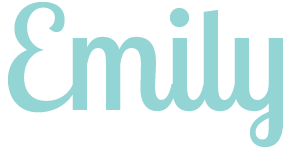 Send me the free printable!